This virtual cache is a rewarding hike through the landscape of the high Black Forest mountains in south-western Germany. 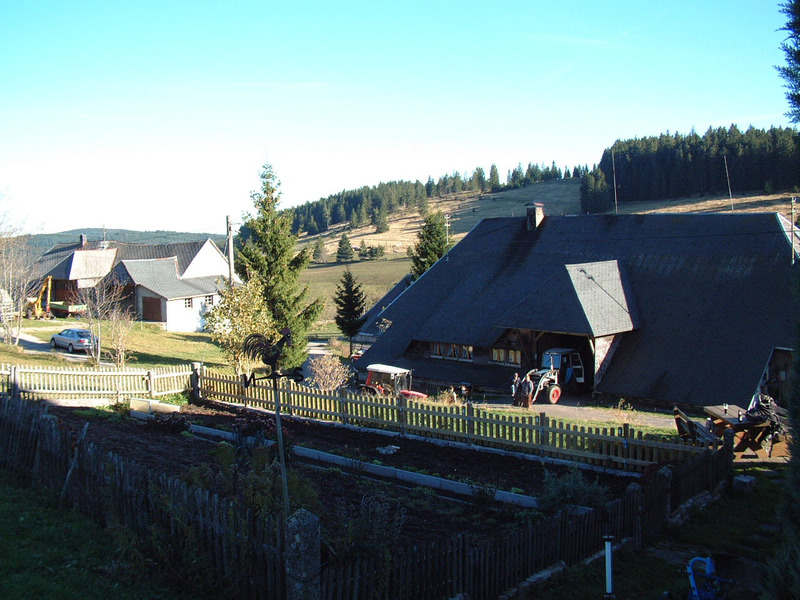 The cache location is Althütte, a tiny mountain farm village with picturesque old Black Forest farm houses. At the cache location, you will find a small restaurant place with food and good beer at an elevation of 942m (yes, METERS) above sea level. The hike starts at the railway station of Seebrugg on the shore of the Schluchsee lake (as I mention beer above, this is a railway-based cache hunt!). The station is located at: N47 48.196 E8 11.451. Your first destination will be the huge concrete dam that holds back Schluchsee's water (and keeps the original village of Schluchsee about 40m below the surface). The dam is at N47 48.014 E8 11.030. By the way, at the one end of the dam there is a bar place that has a refreshing wheat beer. The next place is located on the other side of the dam, and a bit further down the sloping road. It's the village part Eisenbreche of the village of Blasiwald. At N47 47.976 E8 10.630 right in the middle of the village you have the choice of a beer garden and a restaurant, in case you need some refreshment. No need though, as here you're even at a lower altitude than you were at the railway station! No mercy, you need to proceed even further uphill, to the final destination, the cache place. Before refreshing at the restaurant (e.g. at the huge wooden table on the outside, while enjoying the scenery) go to the building across the road from the chapel. An artist couple lives here and has a permanent exhibition of their work open under the roof of their old Black Forest famhouse! After your rest, you may just return the way you came. You will have hiked a distance of approx. 5 kilometers (one-way, another 5 to return), and you're close to the top of the mountain you were walking uphill all the time. The Alb waterfall at N47 45.513 E8 08.216 right in the city. The huge dome of the former Jesuit monastry (now a boarding school) at N47 45.599 E8 07.813. Finally, the central bus station is at N47 45.702 E8 07482. Buses for Seebrugg leave every hour during daytime. Schedules are available here. Recommended places for eating: The "Sankt Blasier Stüble" (an italian pasta & pizza place) and "Tränke", a neat bar that serves salads, pizza and other food.